Laminated 13 oz. Linen (BRVT13) & (BRVA13) is a laminated vinyl with a linen emboss for a simple and elegant appearance. Laminated 13 oz. 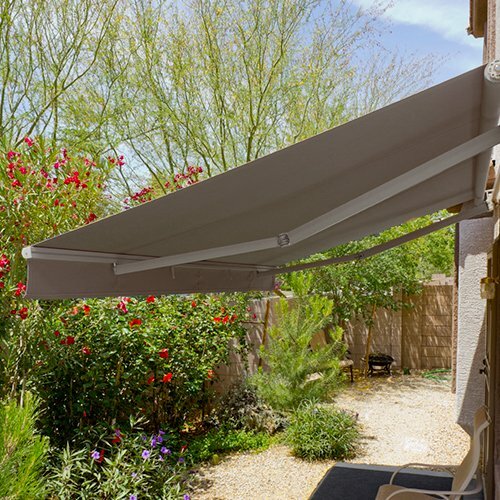 Linen is a specialty fabric that works well as an awning fabric or any application built to shield the sun. This product is treated to resist mildew and the growth of bacteria. BRVA13 passes CPIA-84 FR test, BRVT13 passes FMVSS-302 FR test. Both are available in a variety of colors.